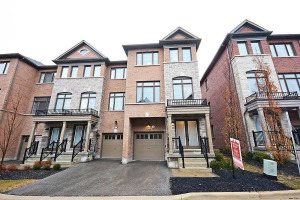 Breathtaking Luxury Semi-Link W/ Thousands In Upgrades! 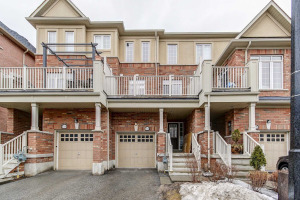 Bright Entrance W/ Wainscotting Leads To An Open Concept Main Floor With Hardwood Throughout. Stone Feature Wall In Great Room, Stunning Kitchen With Quartz Countertop, Backsplash, S/S Appliances & Breakfast Bar. Family Sized Dining Room W/ Walkout To Backyard. Stained Oak Staircase W/ Wrought Iron Pickets Leads To The 2nd Level Featuring 3 Bedrooms. Spacious Master W/ Ensuite & W/I Pax Closet. Valuable Interior Garage Access & Door To Backyard Through Garage. Unfinished Basement Awaits Your Touches! 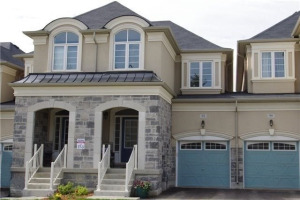 Located In Desirable Subdivision Of 'The Enclaves Of Upper Canada'. Yard To Be Fenced Mid June.